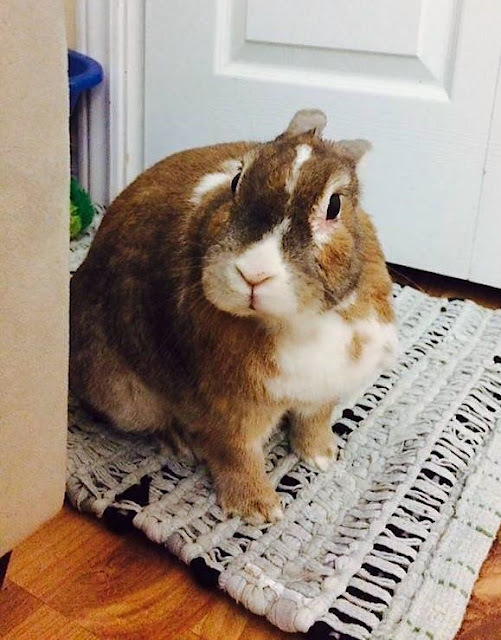 Hoomin, you leave my weekend alone. See that door behind me? Please, please, please let it be the front door and not the door to the cellar. What ever it is - I'm taking it. Beats being looked at like that all day. My ankles hurt just looking at this picture. I love a big, bossy bunny! Hoppy and Happy New Year, Everybunny! !